Details for all five of IGC Show’s brand-new Continuing Education @ IGC tracks are now live at the show’s website so that garden center owners, managers, buyers and staff can make plans now to attend, ahead of the spring rush. Continuing Education @ IGC is the largest and most-focused educational program for independent garden centers anywhere in the U.S. and around the world. Now in its 13th year, it is targeted precisely to the special interests of indie garden center businesses. Now for a limited time, substantial early bird savings are in effect on Continuing Education @ IGC All Access Passes — now only $99 each, no limits — and the trade show, three keynotes and Wednesday’s concert from San Francisco rock music legends Starship are always free. The following five Continuing Education @ IGC tracks will break out into sessions pinpointing the solutions that will have the greatest impact on IGC retailers’ profitability and success. All of the sessions in the tracks are detailed in full at www.igcshow.com. Turn a Healthy Profit from Grab & Go Container Gardens? Oh, Yes You Can! It isn’t just about getting creative at the potting bench – it’s about running a fast-moving, highly efficient, stand-alone container department that produces strong profit margins. Find out how Grab & Go can elevate your store’s brand so you’re the go-to for time-crunched customers looking for instant color and pizazz. Grab & Go container gardens offer you the opportunity to add an incremental, high-margin department that encourages increased customer traffic, higher spending and greater customer satisfaction. Sharon Hadden of Allisonville Garden & Home in Fishers, Indiana, is back by popular demand from her standing-room-only sessions last year with new ideas for your store. Longtime indie garden center retailers with deep roots are rubbing their eyes to make sure they aren’t dreaming, as indoor plants fill the pages of Crate & Barrel’s catalogs and small-space dwellers pack their homes with tropicals — the Great Houseplant Boom of the 1970s is back, and there are no signs of it slowing down! Houseplants are hip again, and consumers everywhere — especially millennials and Gen Z — can’t get enough. Fiddle leaf figs are the new succulents, as budding plant enthusiasts discover the warmth, personality and air-cleaning benefits of indoor plants that exist outside their terrariums. Join Ra Gadd, indoor plant sales consultant, as she details everything you need to make your houseplant department a profit sector for your store. Get the skinny on the hottest floral trends your customers will be asking for this year and into 2020 with J Schwanke. 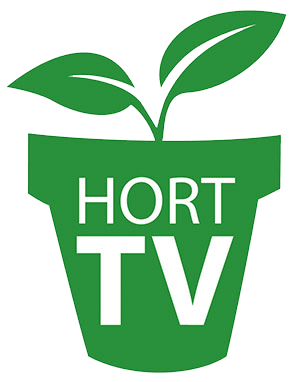 The flower expert is the host of his new nationwide television program, J Schwanke’s Life in Bloom, airing this April on more than 200 PBS stations. He’ll tap his 20-plus years of experience working with flowers and foliage to show you how a floral department will help your store draw, and keep, customers across every generation, from Baby Boomers to up-and-coming Gen Z. What are the hottest trends in flowers and foliage you need to know now? You’ll find out here. Get the secrets to creating a magical “holidazzle” shopping experience with floral “wow” that will bring customers of all ages to your store this winter. You want more sales, and you want them now! Look no further — your quick-start sales guide is here. Phil Wrzesinski is a third-generation independent retailer with 24 years of experience, including his successful tenure heading up his family business, Toy House and Baby Too, named among the 25 best independent stores in America — and he’s ready to help you. There is no waiting around — the next generation, Gen Z, is upon us, and they are a whole lot different than the millennials they’re following. Uncover the key similarities and differences, and learn how to attract both sought-after demographics to your garden center. This action-packed sales track zeros in on the techniques proven to work with today’s consumers of all ages, and will get you up and running more sales at your indie garden center in no time. ‘Dream Team’ Hiring, Training & Retaining for Staff-Strapped IGCs It’s not only your store – garden centers all across the country are having a hard time finding, and keeping, the best staff for their stores. Faced with the tight labor market and a changing workforce, sharpening your skills in attracting, retaining and motivating your “dream team” is an absolute must. Jeff Kortes, hiring professional, trainer, consultant and author, brings his CRAP Leadership System, using positive management and supervision strategies — caring, respect, appreciation and praise — to drive results at retail. Take back a playbook for the interviewing process, including the best questions to ask and the ones that should never be spoken. How do you determine a compensation package that won’t break your budget but brings in the best talent? You’ll leave with an actionable plan for a stronger hiring and retention program at your store.